Posted by wallofsound in Music History, Music in the media, Music Industry, Publishing. The second edition of my book Studying Popular Music Culture is out now. 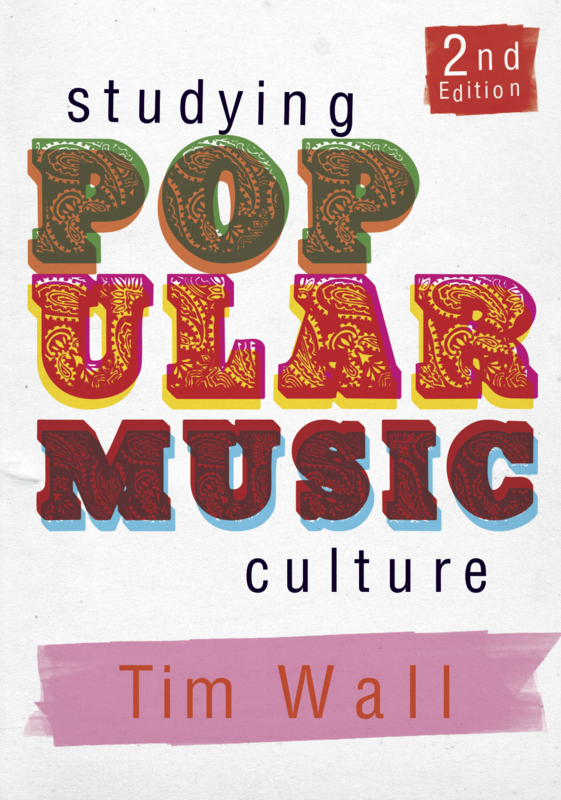 Tim Wall’s Studying Popular Music Culture is that rare thing, an academic study of music that seeks to tie together the strands of the musical text, the industry that produces it, and the audience that gives it meaning. Wall acts as a wary guide to an industry that is currently in total flux, showing the reader how conventional histories of popular music are shaped by social, industrial and technical factors that ultimately leak over into the ways in which we listen to and interpret music. The new edition provides a timely account of the history of the recorded music industry as it responds to new technologies and industrial approaches, with an ever-keen eye on how industrial practice relates to the ways in which audiences consume and use popular music in a variety of ways. Wall’s lucid style provides a coherent summary of a cultural form that is never easy to grapple with at the best of times. Studying Popular Music Culture is a vital read for anyone interested in the changing nature of popular music production and consumption, whether as student, an industry insider or just a fan of popular music. I bought this book at request of my (soon to be) course leader at University where I will be studying Popular Music. I found the book very detailed and unlike a lot of these types of books not at all boring. Well written and divided into different sections focusing on many aspects of the Music Industry, with every subject spoken about in depth. Would definitely recommend to anyone wanting to study anything music related. If you like the book once you read it, I’d appreciate an Amazon review if you can spare the time.